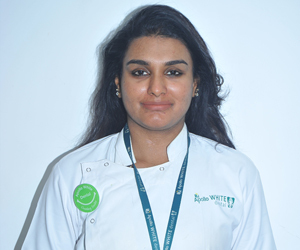 Apollo White Dental is a dental hospital in Madhapur, Hyderabad. It is a center for excellence in dental and maxillofacial care. It provides treatment for various dental diseases, and cosmetic procedures for correction of errors and enhancement of facial appearance. 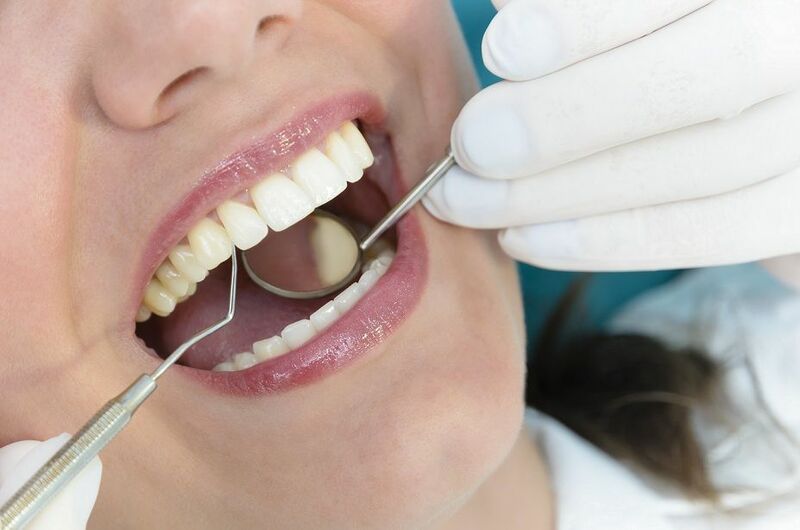 We specialize in providing the latest therapies in cosmetic dentistry, oral maxillofacial surgery, dental braces, dental implants, periodontics, orthodontics, and other fields of dentistry. 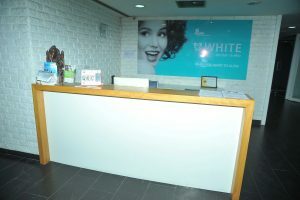 Located in Madhapur and in close proximity to Hi-tech City, Cyber Towers, Ayyapa Society, and many other business institutions, Apollo White Dental, Madhapur provides dental care for numerous people every year. 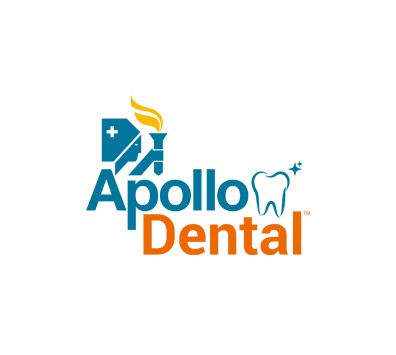 We provide high-end, painless, and accurate dental services at affordable prices. 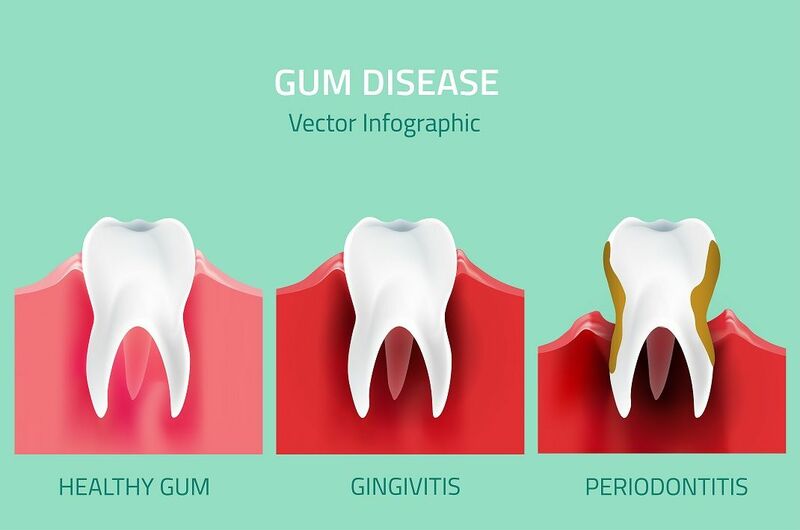 Our dental hospitals in Hyderabad have experienced oral surgeons, gum specialists, braces specialists, and orthodontists who offer specialized dental services for a wide variety of dental health concerns. 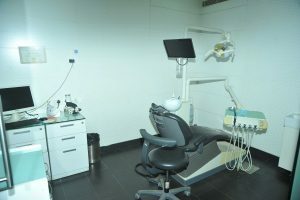 Our dental specialists and support staff are specially qualified to treat children and older adults with dental problems. We strive to ensure that children are not afraid of dental procedures. That is why we have a soft ambience and caring staff that make them feel comfortable and safe. 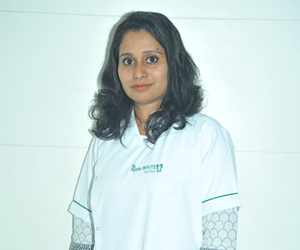 All Apollo White Dental hospitals in Hyderabad provide microscopic and laser dentistry. 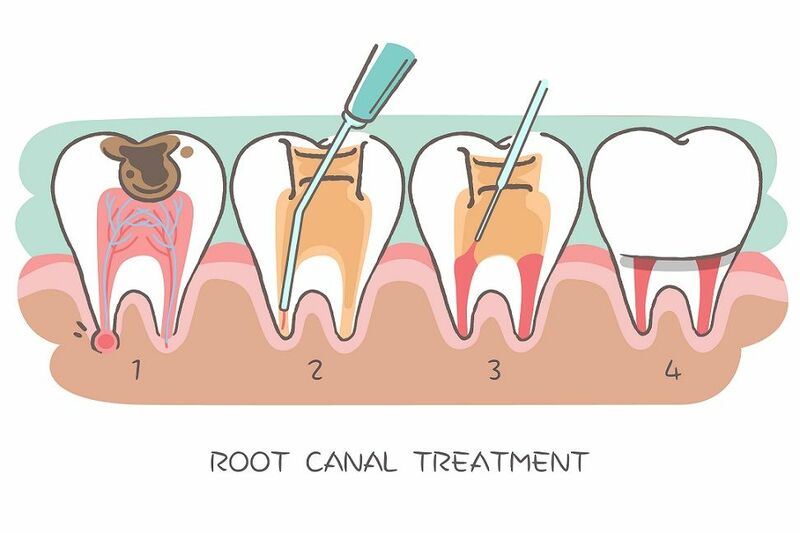 These advanced techniques ensure that there is minimal pain, and post-operative complications. 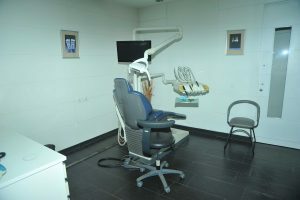 Laser dentistry is used to treat many dental problems effectively without painful drilling procedures. 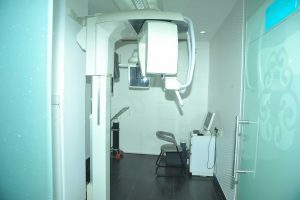 Laser dentistry is also used for bleaching, removal of excess gum tissue and dental decay, restoration, and periodontal surgery. 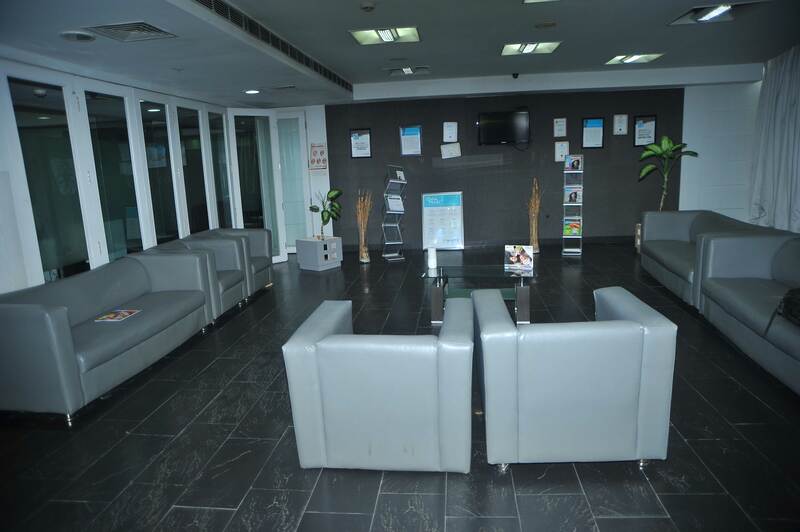 We use high-end diagnostic equipment that assists in precise diagnosis and targeted treatment. Our digital radiovisiography, cone beam CT, and digital orthopantogram help our dental doctors to pinpoint the area that needs treatment, produce high quality digital image, and reduce radiation. These imaging techniques also provide quicker results compared to conventional equipment. Apollo White Dental clinics in Hyderabad follow stringent protocols in order to control infections and to keep the equipment and the hospital sterile. We use triple sterilization, ultrasonic cleaners, and enzymatic and non-enzymatic solutions to keep our dental equipment sterilized. 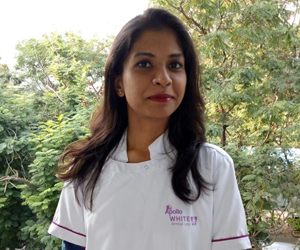 Apollo White Dental, Madhapur offers specialized dental services for a wide variety of dental health concerns. 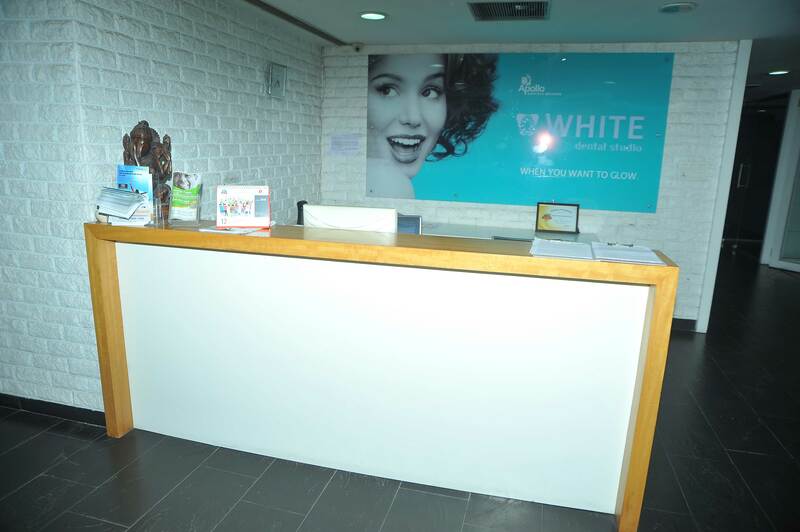 Book your visit at Apollo White Dental Madhapur today!